Vanderwhacker Mt. 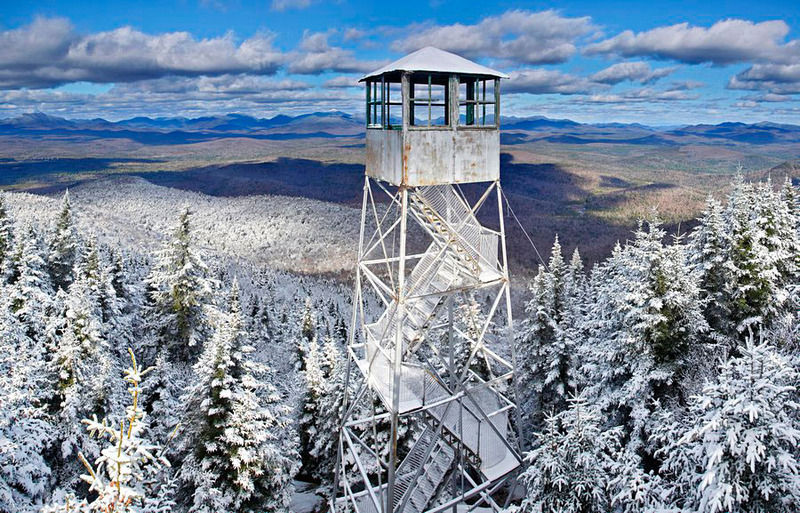 Firetower in November from a spruce Treetop, with the High Peaks behind the tower. Photo © copyright by Johnathan Ampersand Esper.